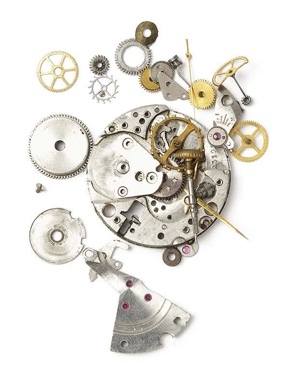 Timepieces are often more valuable than one would expect, even if they are decades old or in need of repair. Timepieces are often more valuable than one would expect, even if they are decades old or in need of repair. The detailed movements, quality of the materials, and the designer name inform an appraiser of its resale value. So whether you are a collector who is selling watches you no longer wear, an estate seller, or someone liquidating assets for an unexpected life event, selling your unused watch is a quick and lucrative way to find some cash. Regardless of why you are selling your timepiece, Billig Jewelers is here to help you maximize the value of your watch sale. Watch values vary by brand and model, and while we don’t buy every watch on the market, we are always on the lookout for great pieces. Currently, we purchase over 50 fine watch brands and hundreds of models. Some top names include Breitling, Rolex, Patek Philippe, Cartier, Bell and Ross, Baume and Mercier, Hublot and many others. From gold watches to designer pieces, every timepiece is unique and only a qualified watch buyer can determine the proper value. At Billig Jewelers, we are experienced and reputable watch buyers and, when you come to us, you will benefit from our market knowledge as well as our personal, friendly service. After assessing your item, we qualify how we determined the offered purchase price by explaining the brand, the age, any defects or repairs needed, and the expected resale ability. Above all, our goal is to appraise and buy your watch for the highest possible current market value. All in a manner that is safe, secure, and confidential. When it comes time to sell any watches you have on hand, think no further than Billig Jewelers! In order maintain the value and performance of your watch, we recommend that it be cleaned and serviced every 3 – 4 years. When you visit Billig Jewelers, all watch repairs come with a full one year warranty. And, as always, we provide free estimates for repairs.